Frequently used in different locations and exposed places, the VUVS-LT poppet valve can take a lot, all without losing its good looks. Simple on the outside, sturdy on the inside: this is an excellent combination to meet a multitude of requirements, even for challenging environmental conditions. The plug type poppet seal variant is particularly suitable for these types of applications. The valve stands out thanks to its robust, sturdy poppet design, constant switching time and great sealing, and offers reliable operation in the industry. 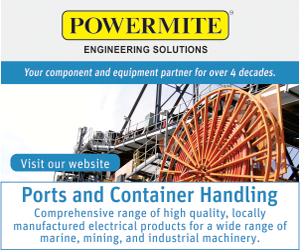 It combines features required for operation in harsh environments such as impact resistance, mounting options and ease of handling. 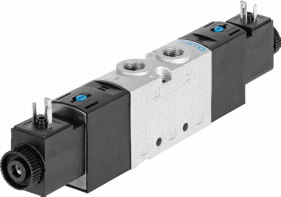 An extensive range of mounting accessories provides various options for integrating poppet valves into your machine concept.This valve allows a 2x 3/two-way valve setup in one body, which allows for space and cost saving on an individually wired valve. Also, inside the 5/2 way bi-stable valve there is a locking circlip which holds the poppet in its position even after a power failure or loss of air pressure.